From 27th April – 3rd May I’ll be in Toronto for the 10th Libre Graphics Meeting. Details of what I’ll be doing will follow shortly. Libre Graphics Meeting (LGM) is the annual gathering of users and developpers of Free and Open Source software for graphics, design, and visual art. 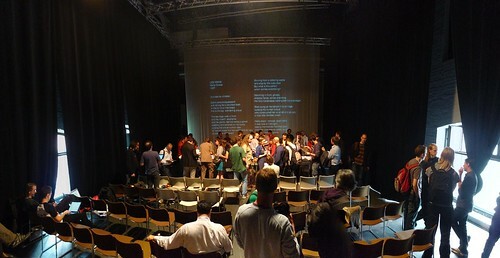 This unique event brings together different groups, usually gathering around specific projects, online, via their mailing-lists or forums. LGM has grown over the years to become an essential moment in the lives of these diverse but interconnected communities. The discussions, presentations and feedback available at LGM have had a positive impact on the developpment of both the tools and their respective communities. The event gives developers, contributors and users a chance to get together, get things done, and come up with new ways forward. 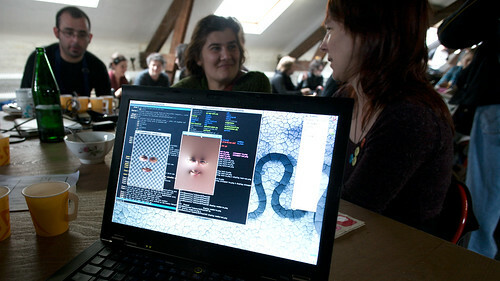 For its 10th edition, Libre Graphics Meeting is looking back at the achievements of Free/Libre and Open Source software for artists and designers. We’re also looking forward, at the developments coming in the next decade. 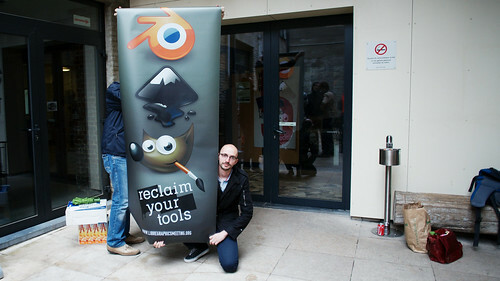 Since its first edition, held in Lyon, France, in 2006, Libre Graphics Meeting has been bringing together software developers, artists, designers, users and other contributors to Free/Libre and Open Source graphics software. For its tenth edition, Libre Graphics Meeting heads to Toronto for four days of talks, workshops, hack sessions and meetings. Developers and prominent users of software projects like Inkscape, Gimp, Scribus, Fontforge, My Paint, Blender, and Krita—among many others— come together to show off their projects and discuss them with the larger Libre Graphics community. Not only is Libre Graphics Meeting an exciting and motivating moment for developers and users of all kinds, from typographers to illustrators, designers and video artists, it’s is also a unique moment for users and developers of free software to collide and share ideas beyond the confined space of mailing-lists, bug trackers or forums. 2015 is going to be an exciting year for LGM. The program, available online now, is packed full of talks and workshops, from new methods of type design to animation, as well as plenty of time built in for informal collaboration and discussion. As well as the four scheduled days, LGM 2015 will also feature pre-event work sessions and hackathons, including the Inkscape Hackfest, which will allow developers of the popular vector graphics software to get together and do concentrated work. LGM is open to the public, and registration is free. Even if you don’t plan to attend LGM, you can always help us fund the costs of bringing contributors to this invaluable meeting. Our annual fundraising campaign helps support the travel costs of contributors travelling to attend LGM. If you’re a user or just a fan of Free and Open Source Software, please consider donating as a way to say “Thank You!” to the developers of these projects. All contributions will be used to reimburse those who travel to Toronto to make our software better. The tenth edition of Libre Graphics Meeting will offer a unique look at the achievements of the last ten years of the Libre Graphics world, and opens the door for more great things in the years to come. So if you are an artist or developer interested in Free and Open Source tools, don’t miss a chance to participate in this unique and itinirary event held this year in the beautiful city of Toronto. You will learn how those tools are reshaping the way artist work and have the opportunity to share your ideas with some of the most interseting people of this community. Being given the opportunity to attend Lbire Graphics Meeting gives me a chance to influence the development of software, and also to show developers what art their tireless efforts are helping to create. For everyone else, though, I feel that the Libre Graphics Meeting is important to further the development of not only open source software but digital culture as a whole. Many libraries, programs and ideas have been formulated or accelerated thanks to these face-to-face meetings, and new ideas that challenge the status quo are developed here. If any of this resonates to you and you want to help then donate to help make LGM happen! This money will help to cover expenses of the developers. Of course, they could start charging for registration, but by keeping it free they reduce the barriers for anyone interested to take part.